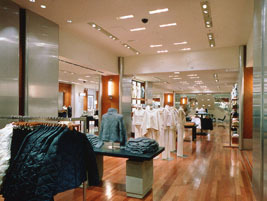 This project is one of many Banana Republic stores we've outfitted with a turnkey solution for fixtures and perimeters. 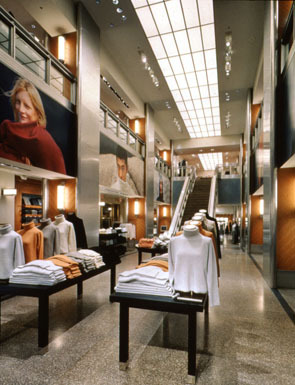 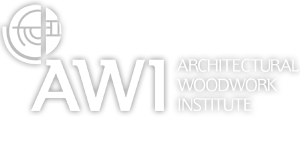 We've provided them with all woodworking elements from pillars to floor fixtures and cases incorporating decorative metals and glass. 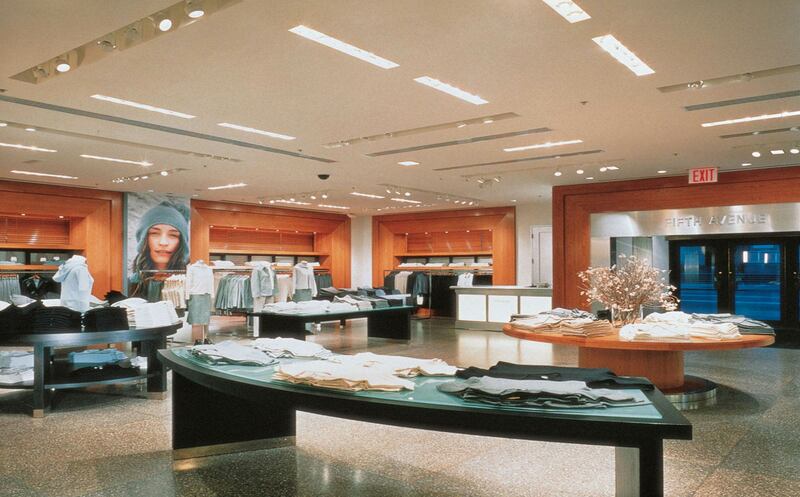 This is a great example of how wood elements can help elevate a retail brand to a higher level of luxury and depth.